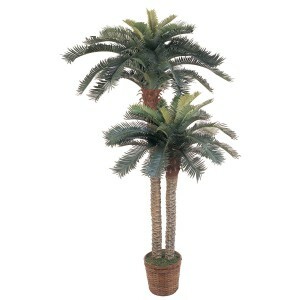 This double potted silk Sago Palm tree is simply paradise! It features two beautiful stalks of Sago Palms; one 4 ft and one 6 ft. 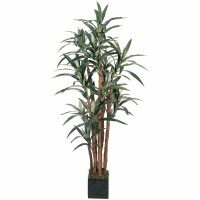 This tree boats 80 green leaves and is set in a 10 in brown basket. 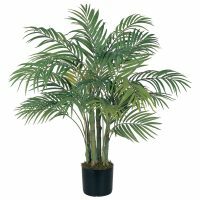 The trunks themselves are browning in spots and feature the texture of a real palm. 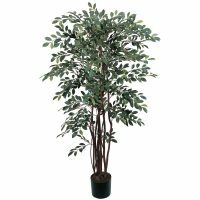 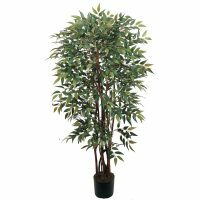 This breath taking tree is the perfect accent piece to any home decor.